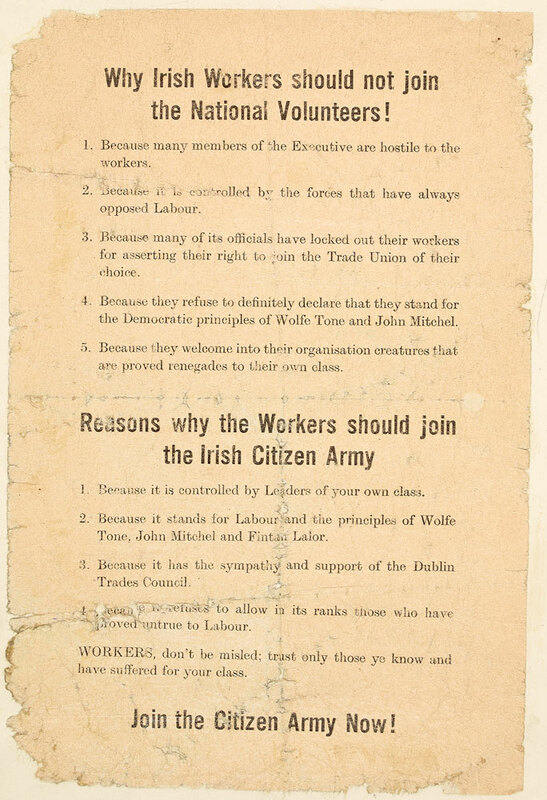 The Irish Citizen Army was formed during the Dublin Lockout with the aim of defending strikers involved in the dispute against the police. James Connolly and James Larkin of the Irish Transport and General Workers Union approved the plan to create the army. With the end of the Dublin Lockout the army all but disappeared. 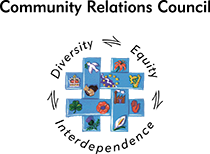 It was revived in 1914 when Sean O'Casey, the playwright, suggested a more formal organisation of the force. He also wrote a constitution for the army, with a much broader remit, it stated "the ownership of Ireland, moral and material, is vested of right in the people of Ireland" and to "sink all difference of birth property and creed under the common name of the Irish people". When James Larkin left Ireland in October 1914, the army came under the command of James Connolly, he committed the organisation to the creation of an Irish socialist republic. 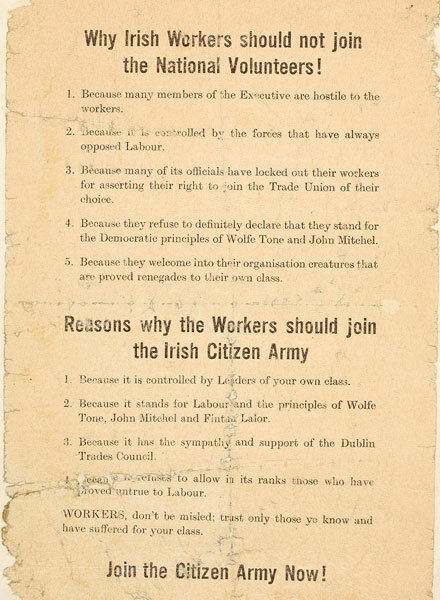 Leaflet encouraging workers to join the Irish Citizens Army instead of the National Volunteers.